Fish is one of the proteins of choice in our household, we enjoy it all times of the year. I was born in Eastern India, a child of the rivers, fish is no stranger to our table. One of the things, I enjoy doing a lot is pan-frying fish with a spice crust. 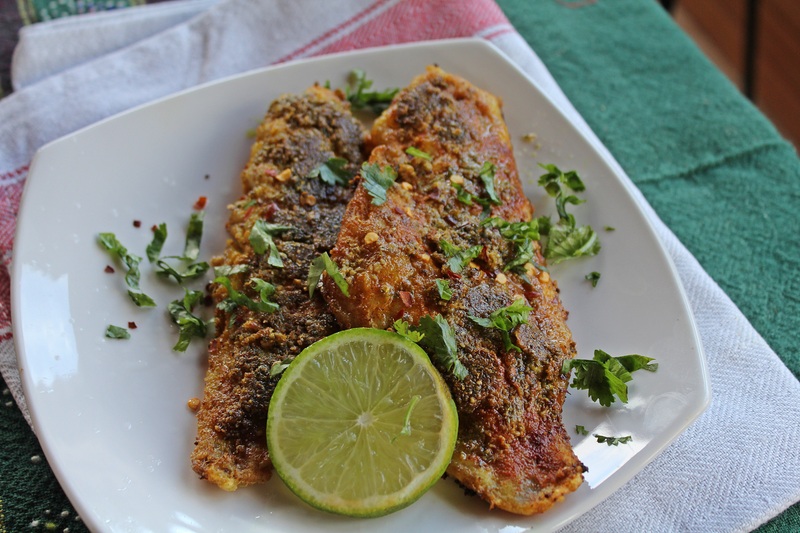 I shall tell you more about the actual technique of pan-frying fish in my weekly recipe, but let me talk about the spice crust and what goes into it. 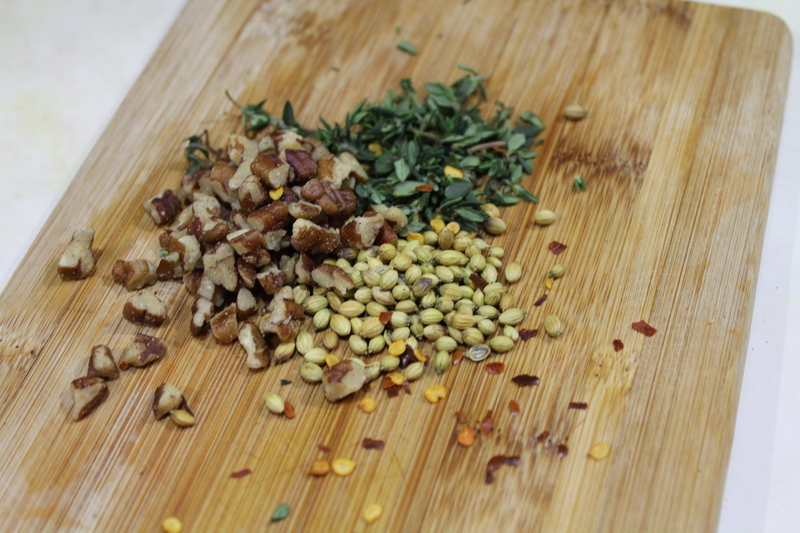 You can create an assortment of different spice crust or rubs for fish or any kind of protein. The key is to make sure that the crust is flavorful, does not burn easily and complements the protein on hand. The texture of the blend is important and should work with how you are preparing the food, for example since I use this for quick and simple cooking, the pecans help bind to the fish, while pan searing. With fish, I am partial to using coriander seeds as I think they are just the right level of potency to work with any mild fish. The pecans here are offer a moist binding, the thyme some complement to the flavors of the coriander and the red pepper flakes of course are joining the fun to add some heat. This spice crust would also work with chicken. I am using the term crust, which really is because I use this when I pan sear or fry the fish, you get a crust like coating. The pecans in this also work to offer the crispness that is need to form a crust like texture.